A digital signature and a time stamp can be used as irrefutable evidence of who performed an electronic operation and when it took place. Cryptosec TSA is an appliance equipped with Cryptographic Software and Hardware (HSM) integrated into a single device, which considerably reduces the cost of the product and the time needed to install it. 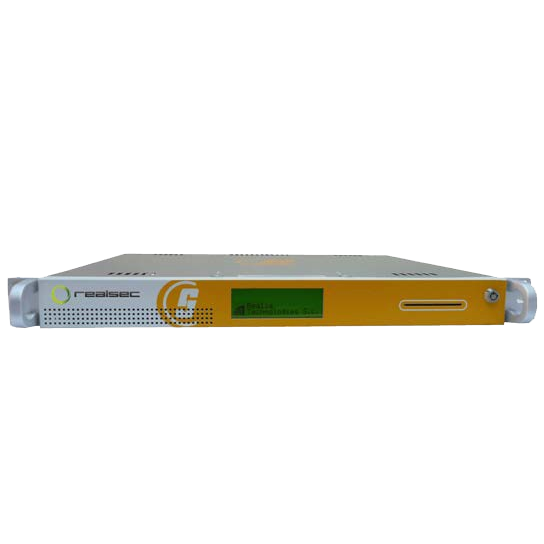 The system can synchronize its own clock with an external time source via the NTP protocol, though it can be adapted to use any synchronization device (GPS, cesium clocks, etc.). It is configured by means of an HTTPS interface through which a series of symmetric keys are generated in the HSM. This allows the system to be equipped with a digital certificate and to set the values based on which the time stamps will be generated. Client access to the system is performed according to the RFC 3161 standard (Time Stamp Protocol [TSP]) and the stamp thus generated will be returned by the same means. Time stamps are signed in the HSM, which is embedded in the Cryptosec TSA appliance. exact time a signature process has taken place. Time stamping protocol according to the RFC 3161 standard. Easy system administration via HTTPS requiring a digital operator certificate. RSA private key generation, from 1024 to 4096 bits. Time stamping service configuration, which provides for the secure creation of the private key for the TSA certificate, and also enables importing the corresponding digital certificate into the cryptographic device. Full system configuration capability: network address, cryptographic device initialization, etc. Capability of configuring multiple time source repositories across different geographic areas. Synchronization of the system’s clock via NTP (Possibility of including other synchronization systems: GPS, cesium clocks, etc.). Access to the internal/external PostgreSQL database to store audit logs. Appliance format for enhanced installation and deployment. Accessible Postgre or MySQL database, although any database may be adapted depending on customer requirements. VT100 terminal for secure HSM administration. The Cryptosec OpenKey TSA solution integrates a Cryptosec PCI HSM, which can optionally be certified for FIPS 140 Level 3 or for Common Criteria EAL 4+ (with ALC_FLR.1 augmentation).